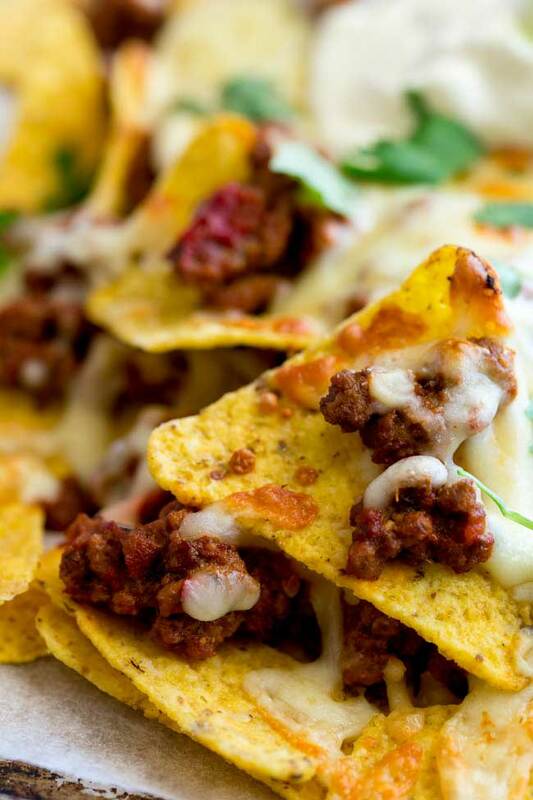 A fully loaded nacho is a wonderful thing. Crisp chips, flavour packed beef and stretchy cheese. 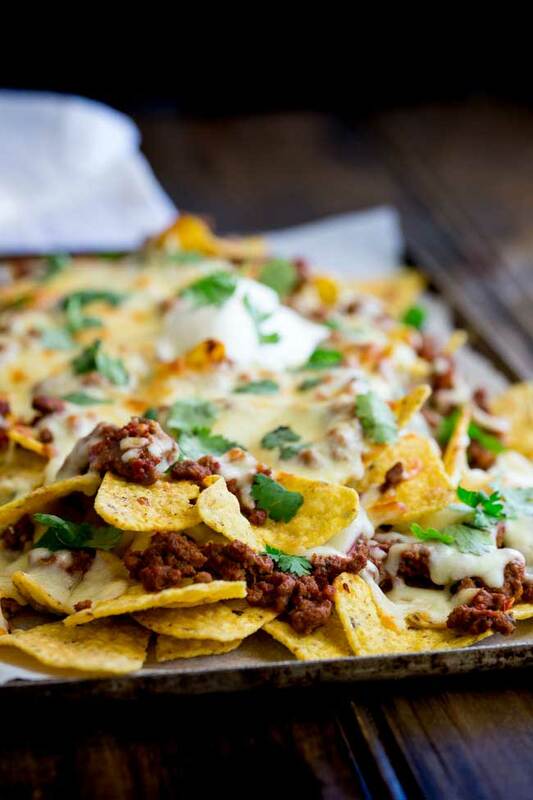 These Instant Pot Cheesy Beef Nachos are oh so good. But when you reach the bottom and you pick a chip with no cheese??? That is the worst! So I have a few simple steps to ensure you get the perfect combination of meat to cheese to chip! There is a truth universally acknowledges that everything is better with cheese. It is a truth I hold very close to my heart!!! 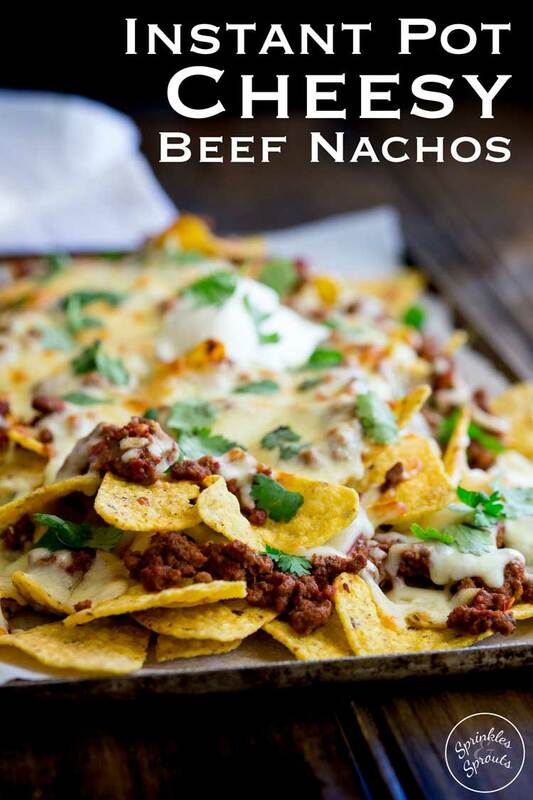 Which is why you just have to look at the gif below to know that these Cheesy Beef Nachos going to taste good. You know that the stringy melted gooey oozy cheese is just going to make these nachos amazing. 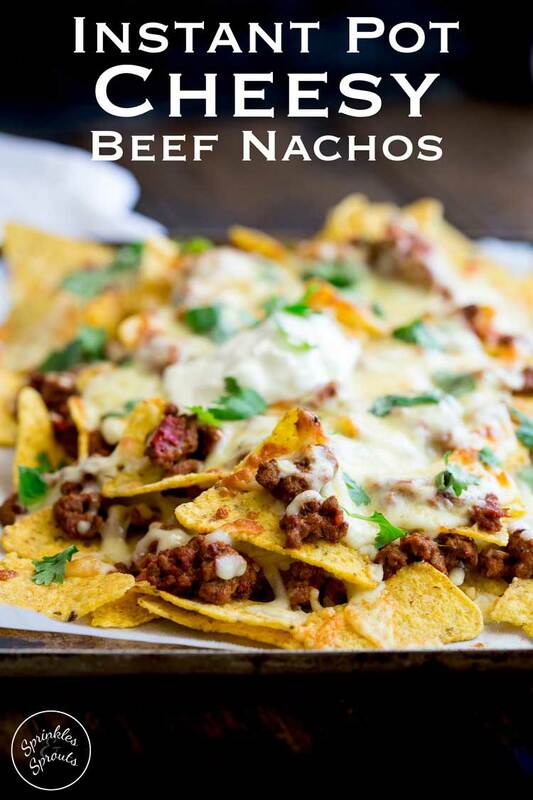 So back to these Cheesy Beef Nachos!!! 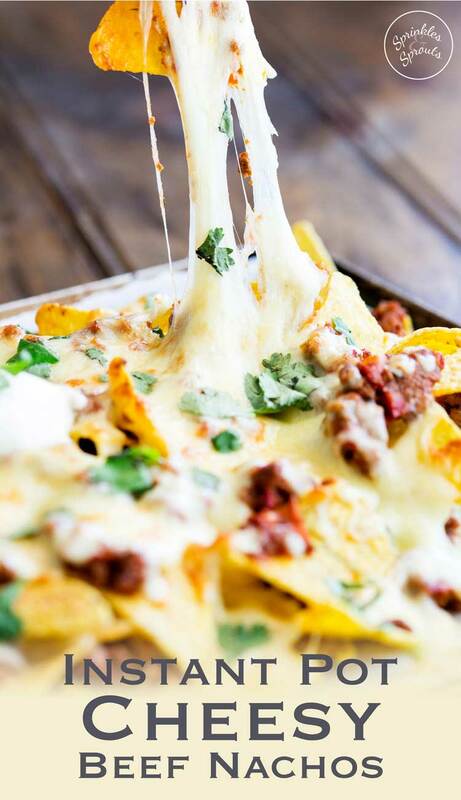 These oh so cheesy nachos. I cooked these up a few weeks ago when Mr 9 had a friend over for the day. Two growing boys? You know that these nachos were a massive success!! I sent Mr 9 to school a few days before to check his friends like nachos the answer yes especially with plenty of cheese PERFECT!!!! You will fit right in, in my house! AND I have a great technique for making sure that every corn chip has cheese on it! I create my nachos in layers. So there you have it three layers of cheesy meaty nachos. The best part about this whole recipe is that the taco meat is made in a pressure cooker/Instant Pot. Set aside 15 minutes and you will have crazy good Taco mince! 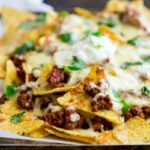 If you love this recipe for Instant Pot Cheesy Beef Nachos why not pin it for later. Facebook | Instagram | Twitter. 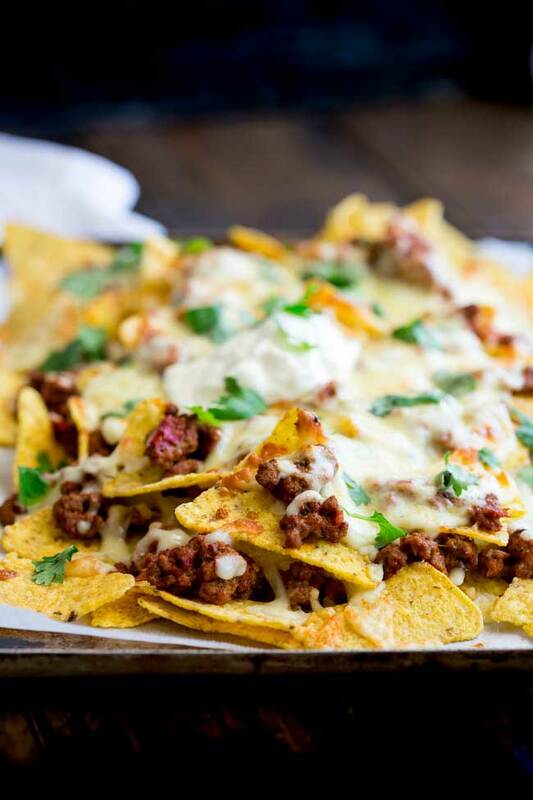 A fully loaded nacho is a wonderful thing. Crisp chips, flavour packed beef and stretchy cheese. Oh so good. But when you reach the bottom and you pick a chip with no cheese??? That is the worst! So I have a few simple steps to ensure you get the perfect combination of meat to cheese to chip! Place the taco meat in the microwave and heat for 2-3 minutes until warmed through. Lay out one third of the tortilla chips in a single layer onto the baking sheet. Sprinkle over about a third of the cheese. Top with a third of the meat. Repeat: 1/3 chips, 1/3 cheese, 1/3 taco meat. For the final layer, first the remaining chips, add the final third of meat to this and top with the remaining cheese. Place into oven and bake for about 6 minutes until the cheese has melted but the chips aren't burnt! Add a good dollop of sour cream to the top and then sprinkle over the coriander. Use a mixture of your favourite cheese. Cheddar, Monterey Jack, Mozzarella, Colby and Tasty (An Australia cheddar style cheese) all work well. 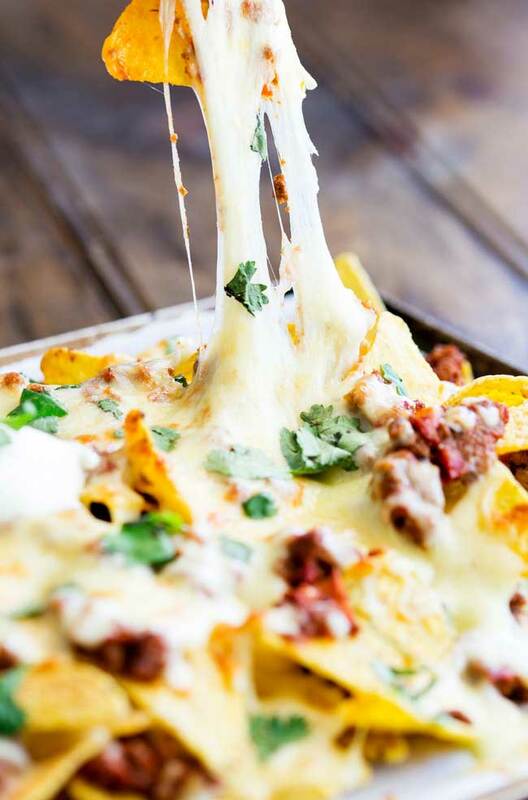 If you love food why not subscribe to my newsletter, I will drop you an email every now and then, just to say hi and send you a couple of recipes think you might love, like these Instant Pot Cheesy Beef Nachos. It isn’t everyday! I am not that organised. Usually it is once a week (ish). And as a thank you I will send you my soup cookbook FREE. Full of my fav soups! Signup and get my FREE soup cookbook. I was looking for an instant pot recipe for nachosas cave across this. Nowhere in the instructions does it say to use an instant pot! Very disappointed that this is labeled incorrectly. Hi Ashley, the mince mixture for the tacos is cooked in the Instant Pot. Sorry you found this confusing. I will highlight this more clearly. Where does the Instant Pot come into play with your recipe?? You don’t mention it! You use it to make the meat topping. There should be a link in the recipe box for the seperate instruction. Hi Claire. 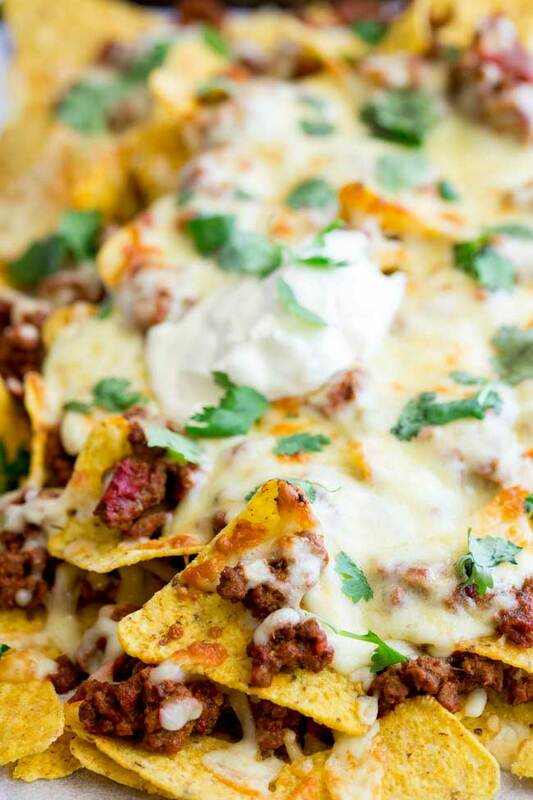 Who doesn’t like nachos? I always layer them, but your tip for the third layer makes perfect sense. Gary’s brother and his wife (who just visited us for a couple of days) recently bought a retro travel trailer and I told her about the instant pot as it is perfect for small cooking spaces. She immediately got on computer and ordered one. They are such a great kitchen appliance!!! Perfect for camping!!! I have heard of people using them hotel rooms! I use love I can get dinner on the table quicker, saves the mealtime melt downs!!! I believe cooking for those you love should be stress free and simple. Here on Sprinkles and Sprouts you will find delicious meals all made with easy to find grocery store ingredients. Family friendly mains, sensational sides and delicious desserts. Plus a great selection of party food and appetizers. 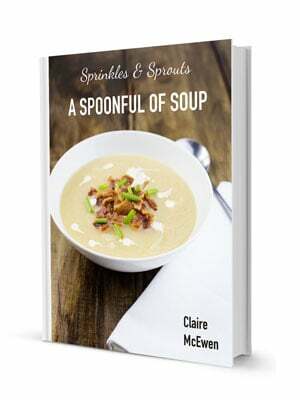 All content, recipes and photographs are copyrighted to Claire McEwen and are the property of Sprinkles and Sprouts. THEY MAY NOT BE REPUBLISHED IN PART OR WHOLE WITHOUT PERMISSION AND PROPER CREDIT. Contact me to see republishing and syndication rights.